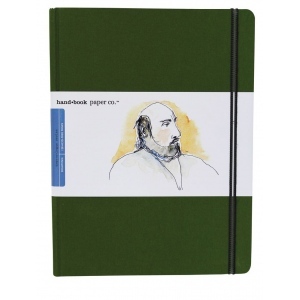 Hand-bound bookcloth cover has just the right flexibility. 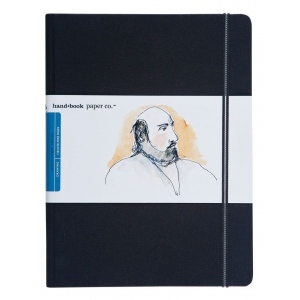 * Contains 128 pages of heavyweight buff drawing paper with a good tooth. 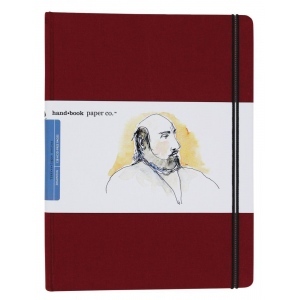 * Great for pen & ink pencil and markers. * Accepts light watercolor washes without buckling. 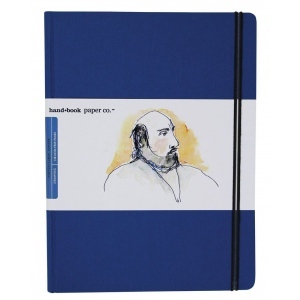 * Wrapped with a durable elastic closure and tuck a very useful clear envelope inside the back cover.